Back during the NBA All Star Weekend in Toronto, Nike debuted the Marxman. The new silhouette first appeared in a black iteration, but the Swoosh has been slowly putting out different colorways for the high-top shoe. 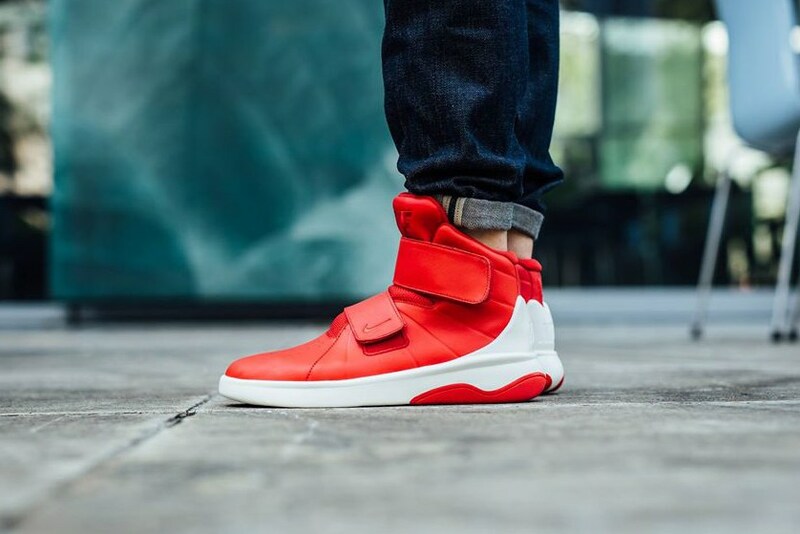 Now, the pair is getting decked out in “University Red.” Constructed with a leather upper and a mesh tongue, the shoe boasts a crisp white midsole and thick straps. Let us know what you think about this silhouette, which will be available this weekend at select Nike retailers such as Titolo Shop.